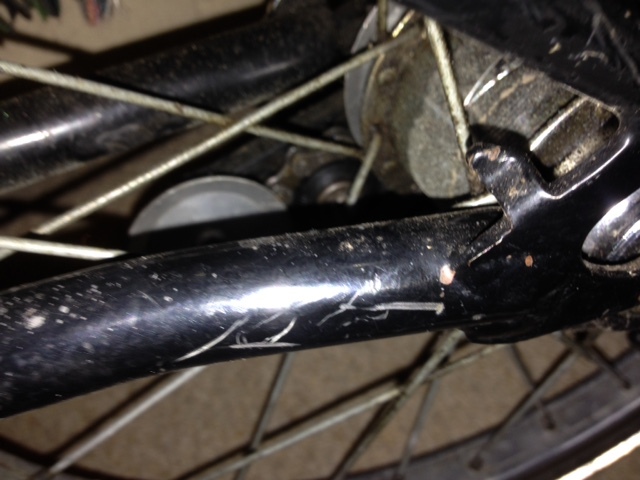 The rear frame on my Brompton doesn't appear to have the cage-like mounts that new models have. The mountings that it does have are shown below. Are these intended for a pump, and if so, is there a specific pump that attached so these? You have a Mk2 Brompton which uses a slightly shorter pump. I think your pump might be a Mk2 also. Does it physically fit within the frame? (the handle goes towards the axle). The bit you are missing is the adapter bolt for holding the Zefal pump. 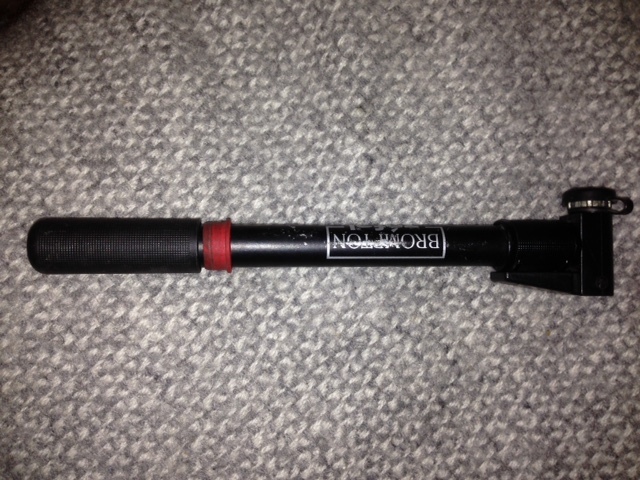 This goes into the seatpost-end pump bracket and slots into the hole on the nozzle end of your pump. You could maybe improvise something with parts from a hardware store. You could also try to get hold of a Bluemels pump, which is what the mounts were originally designed for, although these are now incredibly rare. Much more info about Brompton pumps can be found in this Facebook post. I have a Brompton of around that vintage (1998 to be exact) and there is a very good reason why it will not come with the original Bluemels rear-triangle fitting pump and that is that they don't work very well when new and very quickly seize up as a result of all the muck and water thrown over them by the back wheel. Not the answer you're looking for? Browse other questions tagged frames pump brompton or ask your own question. 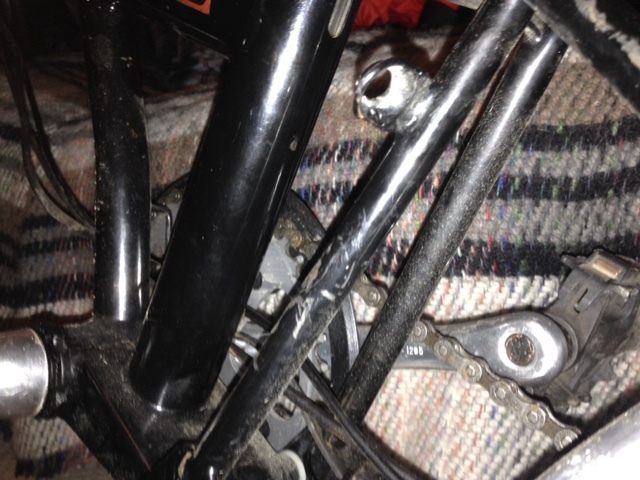 Can missing cage mount screws cause the frame to rust? How to attach mini-pump to valve on kids' bike with no space to manoeuver? Are there any mini pumps that can be mounted on a wide rectangular frame?